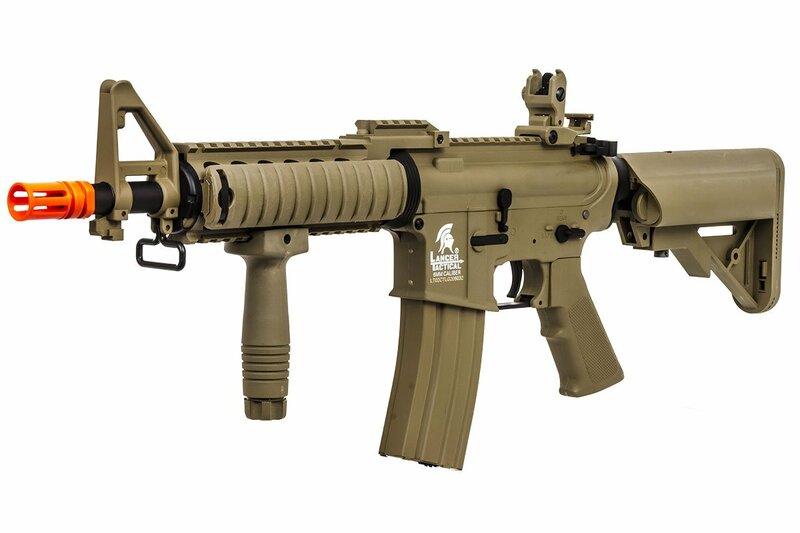 The Lancer Tactical Generation 2 M4 Carbine (LT-02CTL-G2) features a newly upgraded nylon reinforced polymer body, which allows for not only a tough, durable rifle, but lightweight and maneuverable so you can stay in the fight for longer! 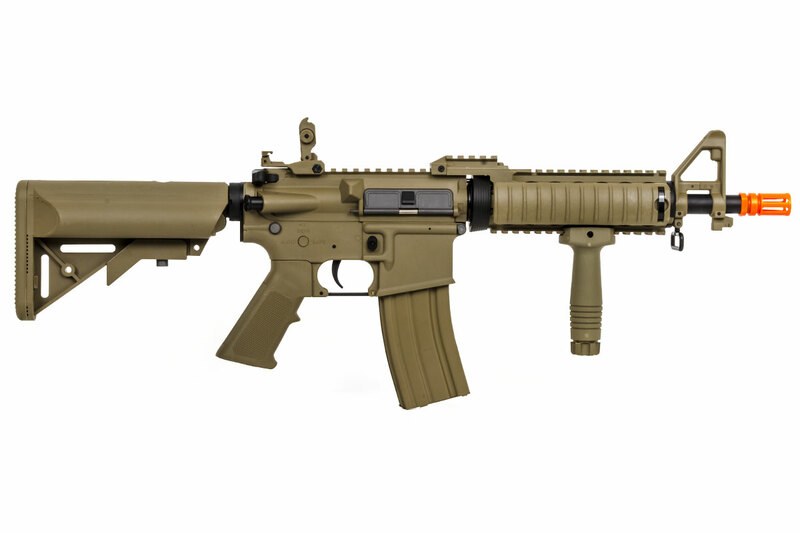 This carbine features a slightly redesigned lower receiver to be slightly more ergonomic for those who use a magazine-well grip on their rifle, as well as featuring a 10 inch keymod rail system that accepts mil-spec keymod rail panels and accessories. 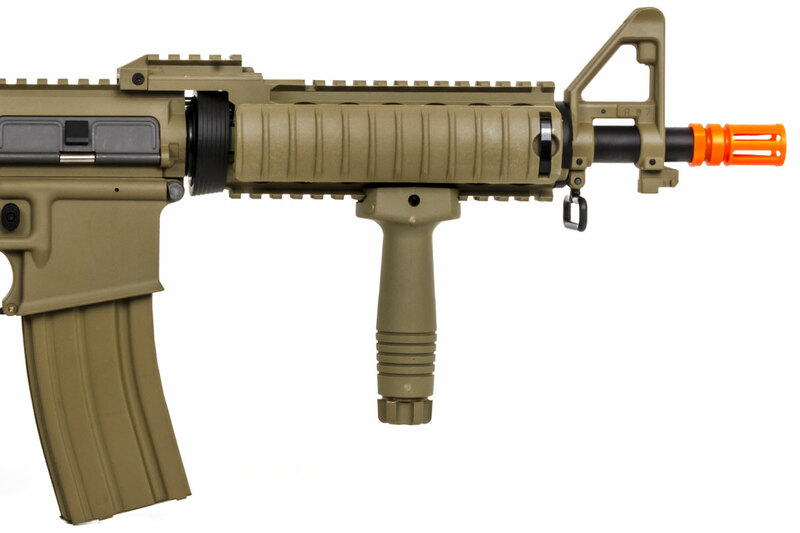 The rear of the receiver also features a slight redesign, which appears similar to an M110 receiver, with a square cut to the rear where the upper and lower meet near the stock. The gun also features an adjustable front and rear sight set, so zero can be dialed in for accurate shots, and a picatinny upper rail for the attachment of optics. Instead of a flat rear plate behind the stock tube, there is a sling plate for the convenient attachment of single point slings. 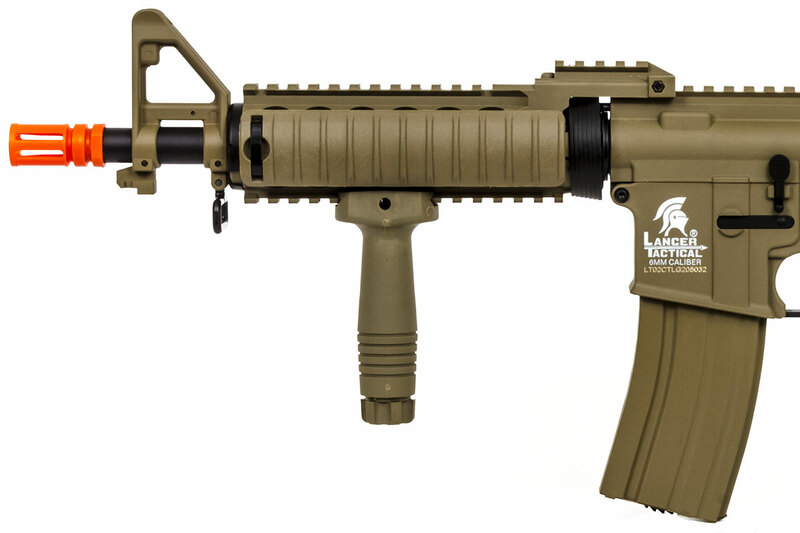 Internally, the 2nd generation of these Lancer Tactical come with standard Version 2 gearboxes, so upgrades and modifications are easy to come by on the airsoft market. 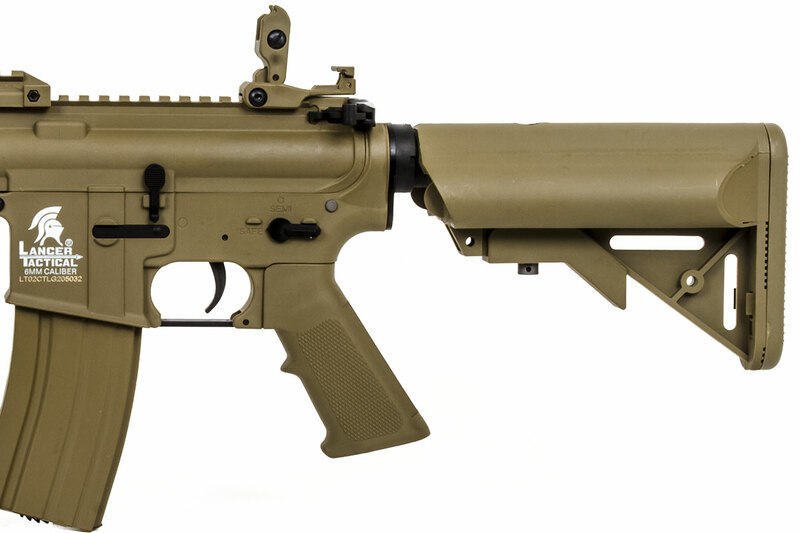 The Lancer pre-upgraded gearboxes come out swinging with an upgraded motor, 8mm ball bearings to ensure the gears spin more efficiently with less friction, a quick change spring system to easily adjust the rifle velocity, and low resistance wiring to ensure smooth electrical flow from the battery to power the rifle! 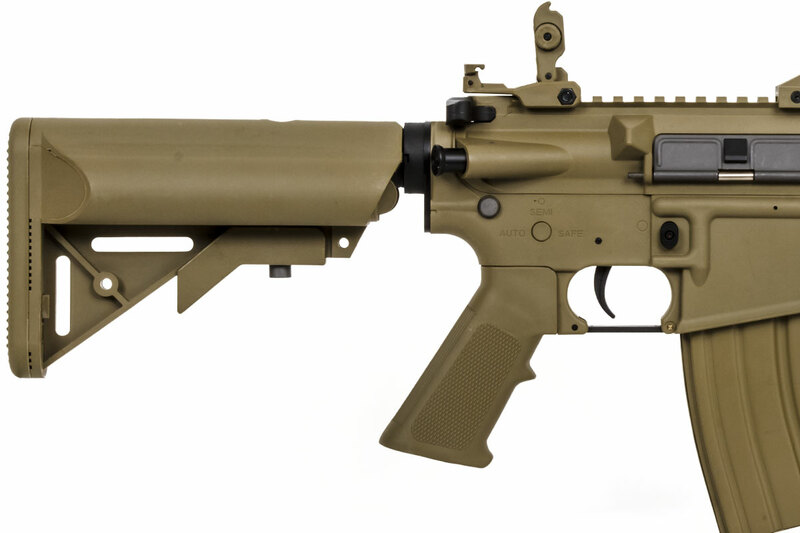 The rifle also features a 6.03mm tight bore barrel, and a rotary dial hop up unit, to allow for more precise, accurate shots at range, along with a 400 feet per second velocity out of the box, it is field legal and perfect for long range engagements! Best of all, these guns come with a high capacity magazine, a 9.6v battery, and a smart charger, all starting at $129 for the entire package. 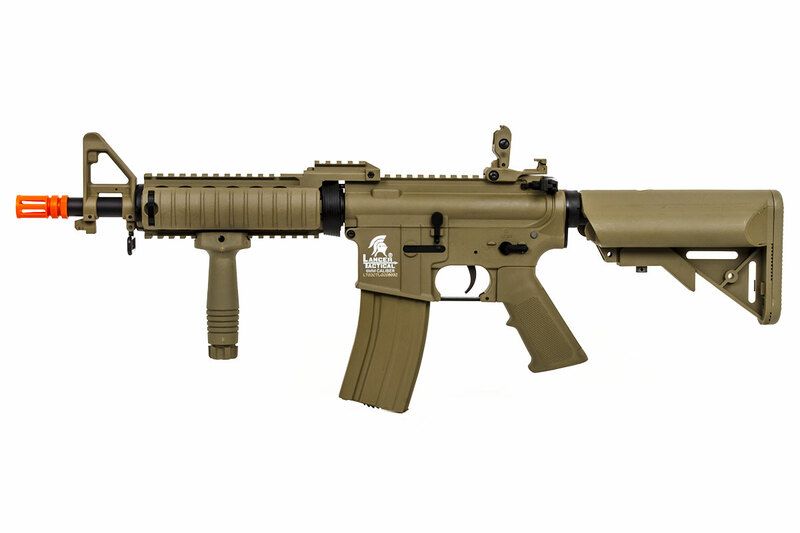 So pick one up and enter the fight with 2nd Generation of Lancer Tactical M4 carbines! How do I adjust the front iron scope? Or is it possible to take it off? My gun keeps shooting about a foot lower than where Iâ€™m aiming and I donâ€™t know how to adjust it. The windage and elevation adjustments should be done on the rear iron sight. There should be knobs or wheels there to adjust it. Yes, this has a metal buffer tube.